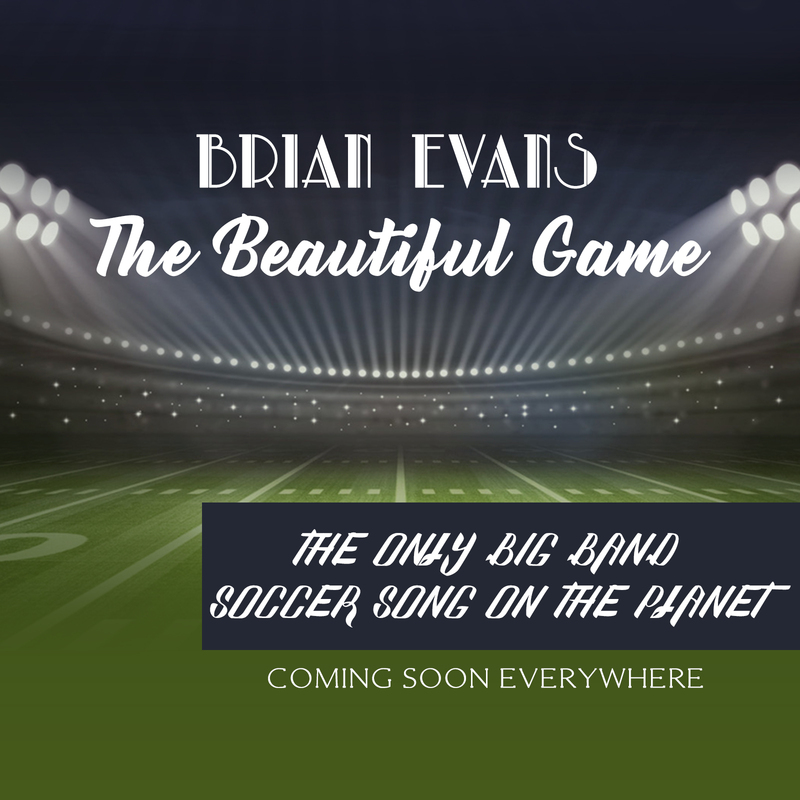 LOS ANGELES, October 2, 2018 – Brian Evans, the singer known for his music videos “At Fenway,” with William Shatner, and “Creature at The Bates Motel,” which features comedian Carrot Top, will release his new sports-themed song, “The Beautiful Game,” on Oct. 2, 2018. It will be the only big band song written about the sport and will be distributed to soccer stadiums worldwide. Evans has headlined in Las Vegas, and prior to this, was the opening act for Joan Rivers, Jay Leno, Erasure, and Social Distortion, among others. He's also released four novels. It's a thrill to be releasing the only big band song ever recorded in soccer, and to know that it will be played in stadiums all over the world. The song will be accompanied by a music video now in development. His sports themed song “At Fenway” has received more than 11 million views, for a one state baseball team. The music video will be produced by Evans, Andrew Biltz, Jesse Stenger and with cinematography by Andres Venegas. Evans co-wrote the song with Jesse Stenger. The song was produced by Grammy Award winning producer Gary Anderson. The song will be featured on Brian's first album in more than six years and will include other tracks such as “Croonerman,” a big band song written by Helen Marie Bousquet, Evans' mother. He also just happens to be the same Brian Evans who won the nomination for the US Congress in Hawaii this year. Evans, who is featured in the biography of Angelina Jolie written by Andrew Morton, will be featured in a special on the actress on Reelz TV later this year.